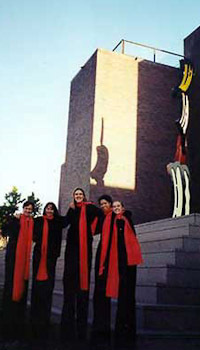 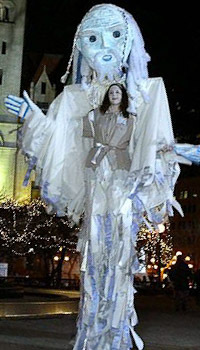 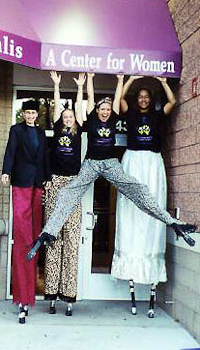 Founded in 1998 by Amy Ballestad and Shelley Chinander, Chicks on Sticks explores the ancient and universal art of stiltwalking. 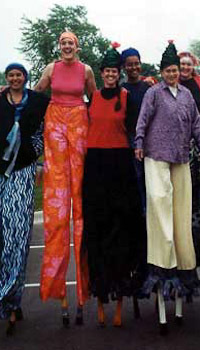 We also explore the powerful dynamic of working together as an all-female collective. 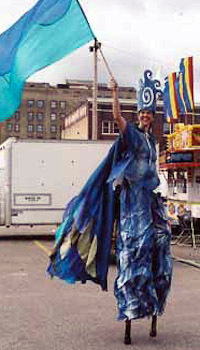 Through an initial grant from FORECAST Public ArtWorks, we were able to build stilts, make long-legged costumes, and create several small community performances. 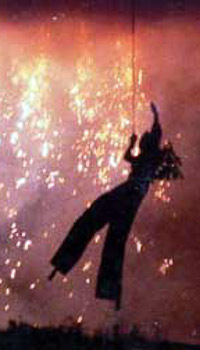 In the years since, we have collaborated with puppeteers, dancers, singers, aerialists, and pyrotechnicians to create original performances. 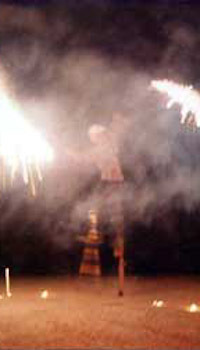 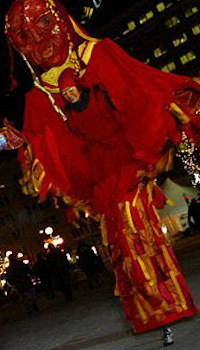 Our pieces range from tall-tale puppet shows in school gyms to flaming pyrotechnic pageants in urban corridors. 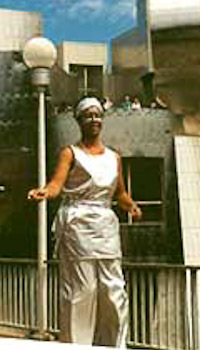 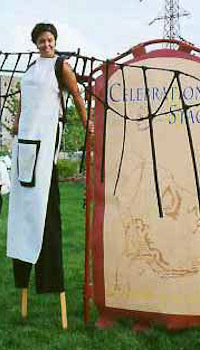 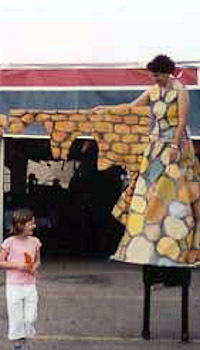 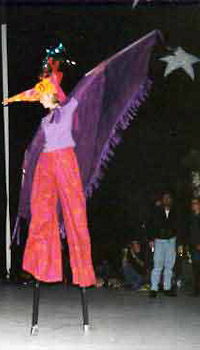 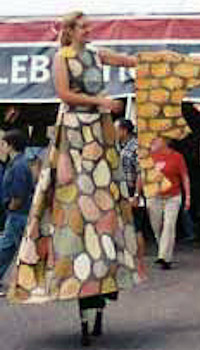 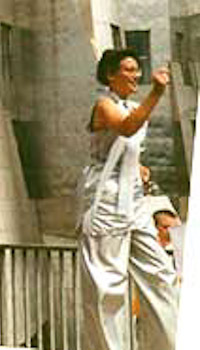 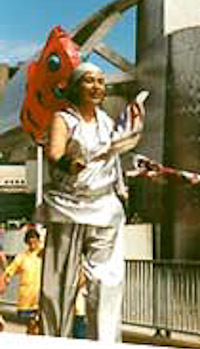 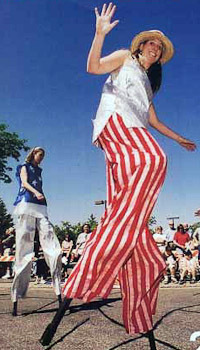 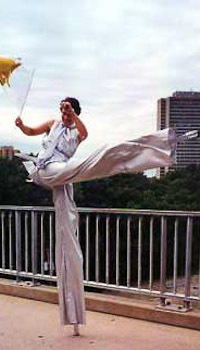 Our artists also teach stiltwalking in workshops and summer youth camps.